We went to Little Rann of Kutch for Birding in November. While entering in to the rann we find Red-necked Falcone sitting in shadow of a tree. We take few snaps of this wonderful bird. Then we started wandering further deep in to the rann. Suddenly we locate one mammal running in to the rann. We start looking for its activity. After some time it starts running, we tried to follow its lead for quite long distance, but it did not stop and disappears in Prosopis juliflora (Gando Baval) bushes. It was an Indian Wolf. We leave the place with pleasant surprise and start looking for something different which was waiting for us in LRK. While returning when we think about event of the day it is Indian Wolf. 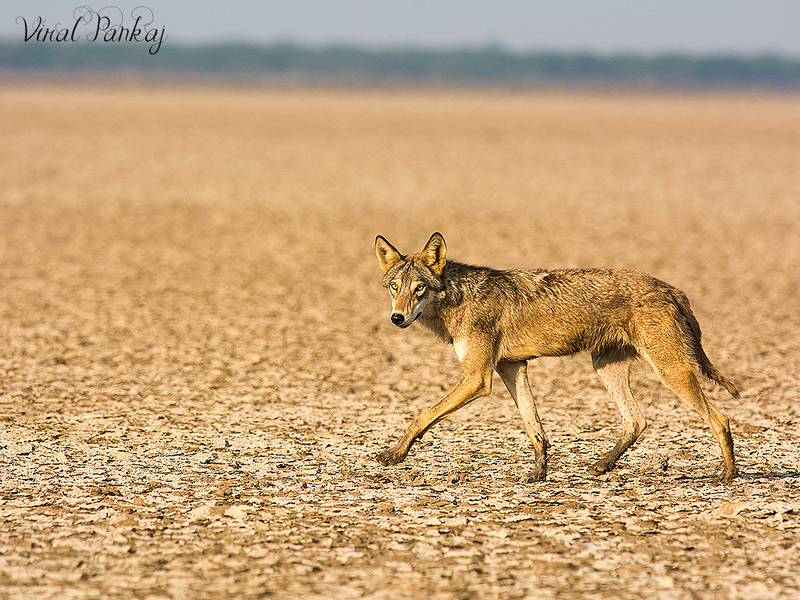 Indian Wolf is also known as ‘ન।ર’ or ‘વરૂ’ in Gujarati. It was one of the most memorable visits of LRK. LRK never disappoint us at any time in any season.